Up to 54% Off PLUS 2 Kids 12 & Under Stay Free PLUS Free Family Sliming!! 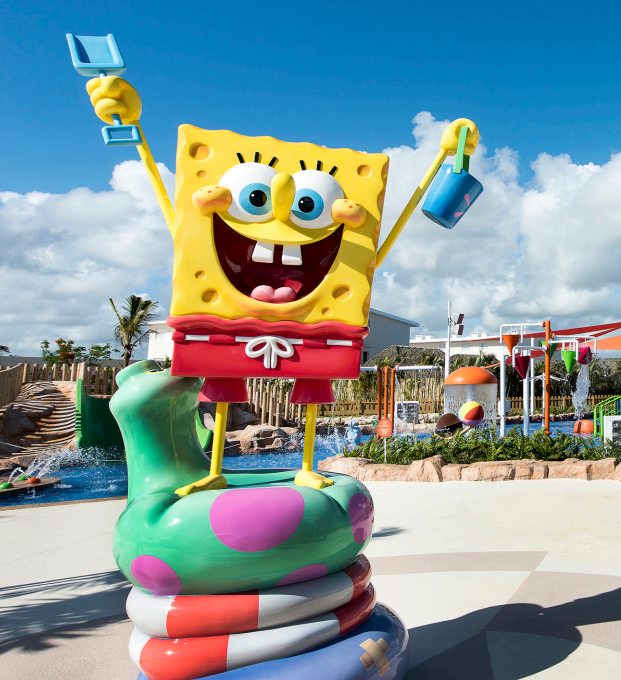 ​Nickelodeon Hotel Punta Cana is an experiential resort designed to provide guests of all ages an incomparable luxury vacation filled with playful surprises. At the heart of the resort is the Nickelodeon Village which includes the Aqua Nick Playground, Character Central, and Just Kiddin’ kids' club. Guests also have access to ten Gourmet Inclusive® restaurants and 2 bars. Savings of 54% is based on travel 1/3/17-1/15/17. Promotional black out dates include 12/23/16-1/2/17. Minimum 3 night stay required. Up to 2 kids 12 & under stay free when staying with 2 paying adults, which include one free family slime per stay. Promotion does not apply to Pool Super Villa & The Pineapple @2016 Viacom International Inc. All rights reserved. Nickelodeon and all related titles, logos, and characters are trademarks of Viacom International Inc. Spongebob Squarepants created by Stephen Hillenburg. @2016 Viacom International Inc. All rights reserved. Nickelodeon and all related titles, logos, and characters are trademarks of Viacom International Inc. Spongebob Squarepants created by Stephen Hillenburg. Material is accurate at date of publication. My Favorite Travel Agent does not assume responsibility for errors or omissions in the publication of this material.